It’s yet another door from Alassio, on the Italian Riviera. Bizarrely, given how often we visit, it’s one I’ve only recently noticed. It could do with a quick clean and polish to better accentuate its handsome features. I particularly like the door surround and the contrast with the terracotta painted walls. 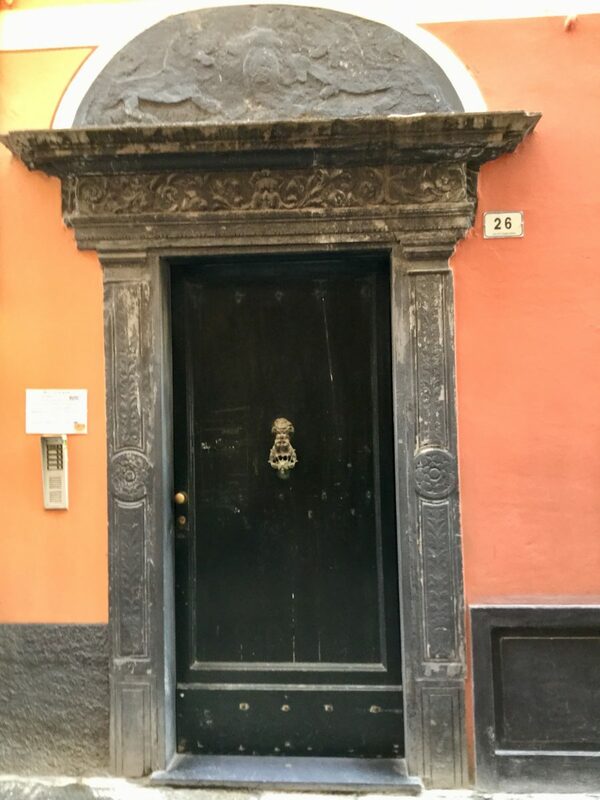 There are fab doors all over Italy, Spain and France. They really don’t make doors the way they used too. Sadly, they don’t. This looks so solid and has withstood the test of time.